Chevrolet Bolt EV wins the 2017 Green Car of the Year Award. The Obama administration wants to assure that “green” cars are here to stay. President- Elect Donald Trump has made promises to greatly diminish federal regulations on U.S. businesses across almost all sectors. However, now in its final days, the Obama administration is racing to put regulations in place (some of which affect green car initiatives, like those that deal with fuel-efficiency) that will not be easy for Trump to quickly adjust back or lessen. President Obama has been an advocate for vehicle electrification for years, Before taking office, his personal car was a a Ford Escape Hybrid. The Environmental Protection Agency (EPA) had until 2018 to review and finalize its standards for emissions. However, in December, the agency decided to meet and ruled to keep standards for 2022 to 2025 in place. Meanwhile, most all major automakers are lobbying for the Trump administration to lower emissions requirements and fuel economy regulations. Ford CEO Mark Fields will be meeting with Trump in a plea to get EPA emission requirements reduced, since he believes that consumers have no interest in hybrid or electric vehicles. Unfortunately, the National Highway Traffic Safety Administration (NHTSA) didn’t follow suit with the EPA. The NHTSA delayed penalties for automakers that are missing fuel-economy targets. Now, automakers have more time to remain out-of-compliance, without paying the previously determined, higher fines. Since 2012, the EPA and the NHTSA have worked together to assure that standards are coordinated. This situation will indefinitely create conflict between the two regulators’ rules. However, he added that unless congress “intervenes,” it will take Trump at least a year to get anything changed that the Obama administration is currently setting in place. There has also been speculation as to what Trump’s administration will make of self-driving car regulations. If he plans to “deregulate” most everything, it could be good for autonomous vehicle adoption, but not necessarily for impending safety concerns. Only time will tell how it will all play out. 74 Comments on "Obama Administration Attempting To Push Through Multiple Green Car Initiatives Before Trump Takes Office"
That is the One and Only right thing Obama did for the USA in his 8 yrs Of Dividing ,Tearing Apart and RUINING AMERICA..
Wow, I can see you didn’t deeply study the issues on hand. I don’t profess to know all angles of the issues either, but I would be the last to make such a broad, generalizing political statement on this forum. Okay. The Black dude fixed what the White dude before him; TOTALLY BROKE, ie, The Economy. Understand? The intervention of the Obama Administration, in stabilizing what was left of the post-2008 Economy after Bush tanked it, is an undersold narrative. It’s too bad you’re unable to correctly remember what you lived thru, to appreciate it more fully now. As for Obama’s trend to set up National Parks, and prevent Fossil Fuel Industries from spoiling what’s left of our Natural Resources– I’m all for him making sure the __DUMPSTERFIRE__, is as contained as possible for the short time he’ll serve. One thing for sure ., when you mention Politics or Religion It gets everybody in an Uproar… l o l ..Got you all going …didn’t I ? ha ! Too bad your parents aren’t monitoring your internet usage. Too Bad You got NO BRAIN..
Well, that answers a long-standing question in my mind: Is “EVnut” aka “jimijonjack” actually the mental basket case he appears to be, or is he just a troll pretending to be a mental basket case? Now we know. Here’s hoping he gets banned very soon. But this guy has been a regular on other websites too, like ABG, where he was regularly ignored by everybody. He’s on my DR:TS list. Oh, I don’t know, he’s just poking a stick in a hornets nest to see what happens. Part of the definition of life is something that can be irritated. So this forum is full of it, life that is, since it’s so easy to irritate. Also his answer to “what’s your IQ”. All the Uninformed Mentally Challenged are Up In arms . Don’t beat yourself up too much. You’ve just began a new year to troll. Agree with that, as do most of the voters. It’s a good thing renewable energy and electric cars are this far along and should be able to withstand 4 years of a fact free “Precidency”. I blame it on the media. I suspect that dems listen to and read left leaning news sources and reps listen to and read right leaning news sources. It seams to me that when I listen to views from someone on the other side that they must be living on a different planet. So I have concluded that it must be the media. There is something too that, but the entire problem the big picture, is fairly complex. It’s sort of like a fruit cake filled with all sorts of different things, that combine to form what many find to be unpalatable. If find them quite good if baker is good. (secret: one ounce peach brandy/week poured over a soaking mesh, for 6 weeks, curing tme). You can’t blame the Federal Reserve’s actions on Obama. George Bush set that up before leaving office. What you can blame on Obama is not jawboning the Fed and Yellen into raising interest rates so the banks pay a decent return on savings. The rate is not even 1% and there are banksters who are planning to charge you money to give them money for save keeping. Which means they charge you money and still use your saving to loan out money. I agree we should have allowed them to fail, lose their ill-gotten funds and started over with new banks. BTW, just so you know the Clintons were “stock market/banker” friendly Democrats and the Republicans are “Fossil industry friendly” Which means that’s who buys them off with high speaker fees and favors after they leave office. That’s the way politicians beat the system and become rich…by after office payoffs. It will be interesting to see if Obama was for sale while he was in office; we will see who pays for his library and if he commands triple digit fees like Hilary. I hope not because even as a politician, I don’t think he is a bad fellow…we’ll see! Sure he can, and did. It’s disturbing and dangerous when a sizable segment of a society starts believing hate-filled Big Lies fed to them by politicians offering simplistic solutions to complex problems. That’s how the Nazis gained power in Germany. Here’s hoping things don’t become that bad here, but we certainly are headed in that direction. Push, you just quoted Colbert like he is a real person, not a comedian. And you didn’t put a sarc tag on it. That makes it even more amusing. But if you think he is actually making sense, I just have to point out, “Fish don’t know water is wet”. Uhhh, actually the Bush administration is the one that got the bank bailout program going. Because that’s what it *feels* like. Remember, we are now in the post-truth era where *feels” matter more than truth. $720 Billion to the thieving bankers.He could have made every American Citizen a millionaire & have millions left if he passed that money back to it’s Rightful owners “The American People” Instead of incarcerating the thieving Bankers He rewarded Them. Oh… did Obama suggest a Muslim registry, too? Did he disparage those who have opposing views as being, simply, the “elite”? Did he constantly post on Twitter about his “enemies” (of whom we’re regularly reminded there are many), sometimes directly naming them despite being the future POTUS? Don’t Talk Soft! Were you under a 5 tonne rock? I know there’s a whole culture to hating the man, but he was a blessing and you know it. Anyone outside of US borders will disagree to what you said. Any informed foreigner (yo) will know the obstructionism he faced from the GOP and the executive orders he had to make as a result. GObama! 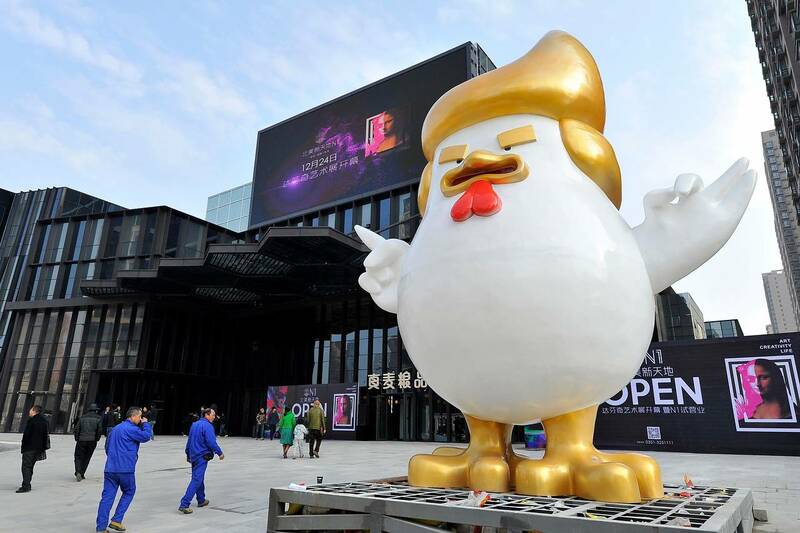 Stop that yuuuuge MotherClucker! The people on this forum are giving way too much credit to Obama for the progression of electric vehicles and renewable energy over recent years. The Energy Independence and Security Act of 2007 by far is the greatest proponent of sustainability in the the United States, was supported by many republicans in congress and was signed by President Bush. Remember Donald Trump doesn’t own the United States and the President may be able to lead policy but congress controls budgets. Sorry. The GOP did not support this legislation. The ratio of GOP House opponents to supporters was greater than 4:1. The House Democrats nearly unanimously supported it. Of the 27 Senators that voted against it, 23 were Republican. Among the four Democrat senators who voted against it were two senators from Michigan (home of the Big Three). Yes – Bush signed it into law because he didn’t have the political capital or guts to oppose it at a time when the Iraq (oil) war was going badly, and gasoline was heading north of $4 per gallon. The GOP was and still is the Grand ‘Oil’ Party. Your information is just wrong! The final bill passed 86 to 8 in the Senate and 314 to 100 in the house. Bush wasn’t forced and he could have veto, although with this kind of suppor the bill still would have passed. You missed the CAFE standards that were heavily influenced by the Obama Administration. We have multiple plugins (Ford Fusion Energi, Fiat 500e, etc) that are more or less direct results of the CAFE standards. Sure, they are compliance cars, but the knowledge gained by developing those cars will not be lost. As a side not to history, you have to remember the death of EVs with the Bush administration. Executives believed Bush would be friendly to the auto industry and not push green standards (like Bill Clinton did). They were right and Hummer was born. The president may not directly affect policy, but definitely can set the mood of the country. Obama’s legacy will include many green initiatives that were heavily fought by the GOP. You’d be naive to think that Trump will be able to make everybody happy. He’s going to have to pick a side. Right now, he either sides with the GOP and big money interests, or he sides with democrats and green interests. My guess is he’s not going to side with green interests. The CAFE standards have been around for decades, since the early 1970s. EISA07 dramatically increased the CAFE standards. I’m not a Trump fan but I do believe in this country and I don’t believe Trump will be able to lead it into the apocalypse. Well, you really need to finish your homework. You really need to read up on EISA07 which was signed by President Bush. Obama modified the EISA07 requirements but only slightly with executive orders and with no support from congress. you obviously don’t know the difference between legislation and regulation. regulations are how you actually get stuff done. president obama wanted to do much more to advance clean energy and zero emission vehicles. the problem is that he faced opposition from congressional republicans (who irrationally opposed virtually everything the president advanced, even when president obama tried to agree with them) and injunctions from courts that suspended some of the president’s clean air initiatives. there is considerable question as to whether a trump administration will still attempt to pursue the court cases to get a resolution as it would not surprise me if the trump administration just ceased trying to continue to fight for clean air regulations in the courts (which means that the temporary court injunctions would effectively become permanent). Yeah, seems like that was pretty much the entire effort of congress just to do foot dragging as much as possible. Yes, and probably all that stuff in the courts will just die on the vine too. your comment is fact-free, right wing drivel. the obama administration has done a great deal to promote renewable energy in this country. indeed many of the initiatives that people have worried that donald trump might reverse were initiated during president obama’s term (maybe that’s why trump and the republicans are so enthusiastic to attempt to dismantle them). in a perfect example of “let no good deed go unpunished”, one initiative by the obama administration to promote the development of solar panels in the united states was turned into the “solyndra scandal” by the republicans. more significantly, the amereican recovery and reinvestment act (the “stimulus act”, which was so maligned by republicans), included funding for the deployment of renewable energy in power grids. the prosperity energy storage project in new mexico is the first solar storage facility to be fully integrated into a power grid…all thanks to the stimulus act. Look it up shortcake before you start spouting off about who’s comments are fact free. EISA07 is the predominant energy legislation of our time. Love it or hate it, EISA07 will impact how energy is generated and consumed in the United States for decades and generations to come. are you trying to rebut what i wrote as being not true? that is a “yes” or “no” question. otherwise, i have no interest in your attempt at personal insult. With all the lame comments I’m getting on my post I think I should expand on why EISA07 is so important. Not on did EISA07 set the current CAFE standards it requires all new federal buildings to be Net Zero (fossil fuel) Energy by 2030 and ALL federal buildings to be Net Zero Energy by 2050. EISA07 also includes incentives for getting private sector facilities to follow the federal sector mandates along with many other energy related mandates and incentives (like requiring ethanol be manufactured and blended with our gasoline). So the EISA07 goal is to eliminate fossil fuel consumption by 2050. Government agencies, the energy providers and the automotive manufacturers have been in a constant battle with congress ever since congress passed EISA07 and battle is not likely to stop any time soon. But those of us that want a sustainable future for our children and grandchildren have to applaud the ’07 congress for the courage they showed in pass this far reaching energy legislation. Not to step in between two guys throwing hay-makers at each-other, but that was funny. Don’t forget that science “is a very hard to prove unless you’re there” and that our president-elect has a “very good brain” and “knows things other people don’t know”. “You’ll all find out, very soon”. Hilarious. Thanks for a hearty laugh to start the new year. HaHa, he has good brain just not Hans Delbrook’s,(scientist and saint). Don’t forget, his son is “good with computers” too. Whew.. we’re in good hands, good, little, hands. Well, I’ll admit that Trump is exceeding my expectations. I didn’t expect him to start causing Constitutional crises until after he became president! The problem is… that’s not a joke. I only wish it was. I wouldn’t put anything past he suffers from a form of the celebrity syndrome. Some of the symptoms of which he presents in spades. An inability to take criticism. Vindictive, spiteful, dismissive, certainty of their pov. A person that surrounds them selves with a affirmation posse. Just hitting a few of the highlights of how monsters are made. Surprised more people aren’t enraged at Ford’s comments/plea in the article. Typical short-sighted, short-term-profit-seeking, status-quo-preserving, American CEO. Ford will have no other choice but to electrify their product mix. At three times the efficiency, EVs are clearly superior to ICE vehicles. But the longer Ford waits to establish their supply lines, the more they will be forced to pay for their batteries when volume production becomes imperative. That will only reduce their profits and market share, which is just what they deserve. Fields isn’t the adviser Musk is, to D Trump. I will not buy another Ford (or any make) that does not have a plug in it. Ford can claim all they want, but when their bottom line starts shrinking, they will be forced to change their tune. I will be one of many helping to make that happen sooner rather than later. Both sides are a pro growth, pro expand economy that means trying to allow more people to use more of the land and keep growing eocnomies without regard to the implications. Show me any politician running with a conservation approach that works which may also slow the economy. None will. how’s this for you: the reagan tax cuts resulted in skyrocketing deficits (as walter mondale noted, the reagan administration ran up bigger debts in a month than the carter administration ran up in a whole year). furthermore, the tax cuts accelerated the concentration of wealth since lower taxes on higher incomes gave incentives to the wealthy to seek higher wages. concentration of wealth has produced the shrinkage of the middle class, and a shrinking middle class produces a result of slowing economic growth. president obama at least let the disastrous george w. bush tax cuts expire, but that was a relatively modest step. as bernie sanders noted, top tax rates need to be a lot higher than they are today. it’s absolutely crazy that republicans went around naming every other building in washington dc after ronald reagan when he was one of the most disastrous presidents of modern time. george hw bush was right the first time: reaganomics was “voodoo economics”. Sorry, repeated the 1st link to the 2nd point. I didn’t see anything new in this piece, and still not sure what is meant by “multiple”? The rules will probably stick, and that’s a good thing I think, if “light trucks” aren’t what we want to see most cars become. The category remains more lenient, and why 54.5 is expected to only be 50mpg, by 2025. …holding to CAFE narrows the gap to passenger cars, by 2025. Elections have consequences and if you’re a voting age American that disagrees with Trump but chose to not vote in 2016…this is ALL YOUR FAULT. Given that 2.8 million more people voted for Hillary, yet Trump was still elected, your comment isn’t completely correct… but everyone should vote!!! That’s BS argument. The popular vote number came from California. The popular vote was not country wide which is why we have the electoral college. So one state dosent speak for the whole union. We live in a constitutional republic and not a democracy. Trump won 3084 counties out of 3141 counties in the US. We don’t elect by popular vote so it DOSEN’T count! It’s a weak argument. Let the consumer decide if they want EVs. It’s only 1% of the market and you can’t force them. People will buy used if they don’t like the new offerings. BTW: I have two EVs. Volt and the ELR. Is that you Bill trying to use Fake News, i.e. Breitbart.com to misrepresent what really happened? All one has to do is look at the last graphic to see that Clinton did reasonably ok in many rural areas while running up big advantages in most cities where most of the people live now in the US (same as in all industrialized countries BTW). Yes the constitution written by wealthy people did not trust the common man so they put in this abortion of the electoral college which virtually no other democracy in the world uses. They likewise allowed State legislatures to draw their own districts which is another example of anti-democracy abuse. Nothing like politicians choosing their voters rather then the voters choosing their politicians. So much false information based on fake ‘news’ from unreliable media sources for so long, has really distorted or helped to maintain a particular ‘perception’. – ALL taxpayer dollars used to bail out the banks were ALL paid back to the taxpayers plus an additional $30 Billion positive return. – ALL taxpayer dollars used to bail out the auto industry was ALL paid back. – The bail out and forced re-structing of AIG brought a $22.7 Billion dollar positive return to taxpayer. It’s all about the “Conservative Feels”, in the mainstream and alt-right media, man. If it’s “feel right– it’s the truth. Especially if you’re talking about a Liberal Politician”. Sad.